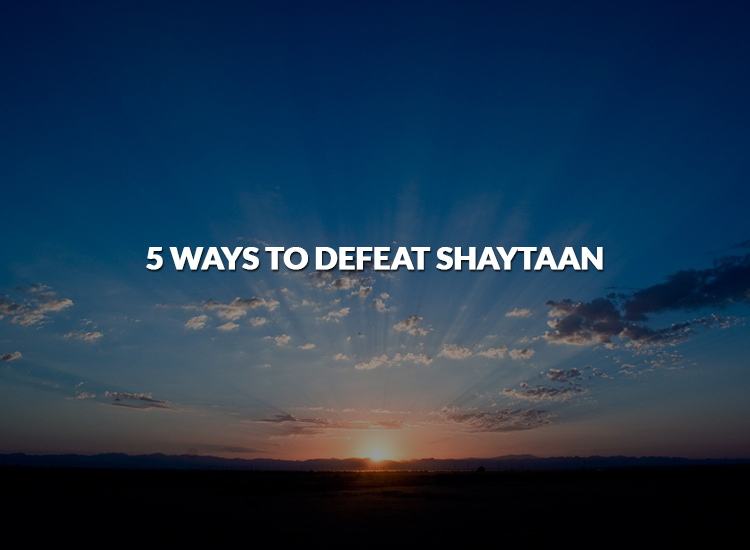 If Shaytaan’s objective is to keep us way from remembering Allah and praying, then what better way to defeat him than to make sure our five daily prayers and Allah’s remembrance is the top priority in our lives? This ayah shows that true believers cannot be swayed by Shaytaan, so we must try our best to be of those whose faith is strong. The only way to do this is to hold fast to the Quran and understand and assimilate its teachings. Recitation of the Quran is as important as understanding. The Prophet (sa) said, “The house in which al-Baqarah is recited is not approached by Shaytan.” [Muslim. Shaytaan cannot exist in a place where Quran is constantly recited so make sure that you hold fast to the Book of Allah by reciting it and learning its teachings. Qutor.com is a great website where you can find teachers for teaching you the Quran. The Prophet (sa) used to remain in a state of cleanliness and wudhu (ablution). This is one of the best ways to keep Shaytaan from influencing us and whispering evil thoughts. Allah loves those who keep themselves clean and it is only His love and protection that can help us defeat our greatest enemy. Ruhaifa Adil is a mother of four, a practising Muslimah, an avid reader, and a passionate writer. She works primarily as a trainer for mothers and teachers, advocating a multi sensorial, learner-centred approach, which she has learnt through her work as a remedial specialist for children with dyslexia. She is also an author of English textbooks, based on the teachings of the Quran (currently under editing), and creative director of a Tafseer app for kids. Masha Allah, i really got some awesome tips of defeating shaytaan. Jazakallahu qeyr ya Rahaifa Adil. Masha Allah, jazakhallahu kheir. This tips seem so simple but yet we do forget to apply them. Lovely really reminder.